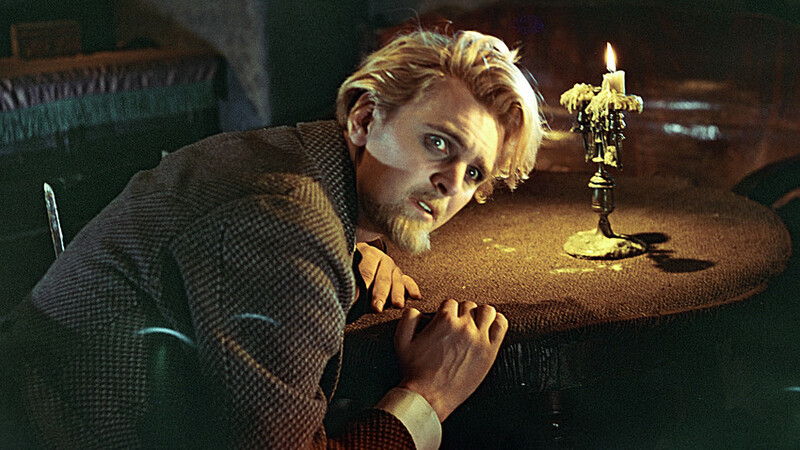 Yury Yakovlev, a Soviet-Russian actor, as Prince Myshkin on the location of the movie "The Idiot" (1958). 2018 marks a century and a half of the iconic novel about a Christ-like character who falls on hard times. The writer’s near-death experience is also written into the work. "The Idiot" (1958) - a scene where Prince Myshkin arrives in Russia from Switzerland, where he had been treated from epilepsy. Some people may question if they are a good or bad person, especially if hungover or after cutting someone off in traffic. “Why can’t I be perfect – a good, all-loving human being who helps everyone unselfishly?” we might ask ourselves during these uneasy times. Relax. As Fyodor Dostoyevsky proves in The Idiot, being perfect is not a good case. The novel’s protagonist Prince Lev Myshkin is an ideal man. “Dostoyevsky’s idea was to portray a perfect man, full of sympathy for everyone and able to understand everyone in the world of evil, filthy people,” the Polka website explains. In the writer’s blueprints Dostoyevsky refers to Myshkin as “Prince Christ,” and he is indeed Christ-like: full of love and forgiveness, with no touch of anger. People around him, however, take Myshkin for an imbecile – an idiot (he does have some medical problems). His good will rarely seems to pay off and, to avoid spoilers, let’s say that the ending is not exactly a happy one. 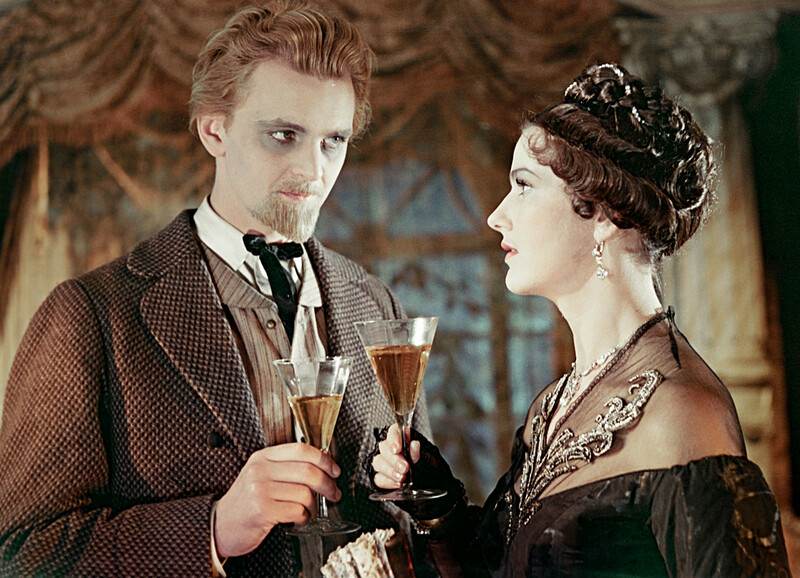 Actors Yury Yakovlev as Prince Myshkin, and Yulia Borisova as Nastasya Filippovna in the film "Idiot" (1958). 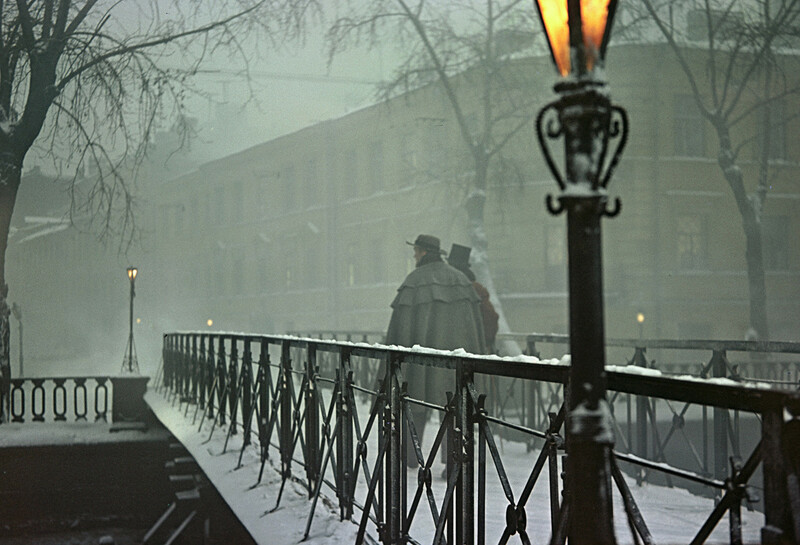 Everycharacter in the novel (and there are many), except for Prince Myshkin is, to some extent, obsessed with something or another – be it Myshkin’s love Nastasya Filippovna, a woman abused in her childhood and considered (even by herself) vile and “fallen,” or the 18-year-old Ippolit dying of phthisis who tries to commit suicide. As usual, the author brings out the deepest, mystical side of his characters. “All the faces are bright and colorful, illuminated by some electrical light that makes them shine supernaturally and you want to look deeper into them,” Apollon Maykov, a 19th century Russian publicist, wrote about The Idiot. 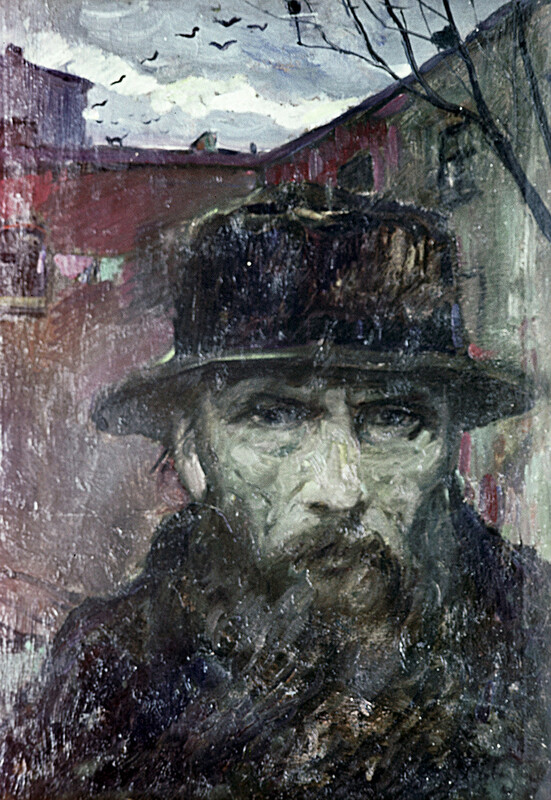 Reproduction of the Fyodor M. Dostoevsky painting by Ilya Glazunov. While working on The Idiot, Dostoyevsky had to cut the story loose. At first, the plan was to write a book about a rogue eventually finding God – but then the author changed his mind and dedicated his novel to wondering if the Christian ideal – embodied by Myshkin – is even desirable in the modern world. The author had to be as close to the reality as possible – so he was writing without a determined ending on his mind, just proposing circumstances and writing down how the heroes would react in accordance to their nature. This wasn’t easy. “My head was in a whirl. It’s a wonder I did not go out of my mind,” Dostoyevsky explained to his friend in a letter. And the ending – again, no spoilers – must have been very hard on the author. The streets of St. Petersburg as portrayed in the movie "The Idiot". To some extent, life dictated Dostoyevsky what to write: his characters read the same articles in the same newspapers as his contemporaries. Moreover, he borrowed one very important murder in The Idiot from reality itself. “Dostoyevsky was writing The Idiotwhile living abroad,” reads an article from the Arzamas website dedicated to the author’s secrets. “So he was afraid of being out of touch with the Motherland, wanted for the book to become of current interest. He was reading all Russian newspapers, paying particular attention to the ‘Breaking News’ section.” Thus, in case you wanted to know about 19th century Russia – The Idiot is a good reference point. 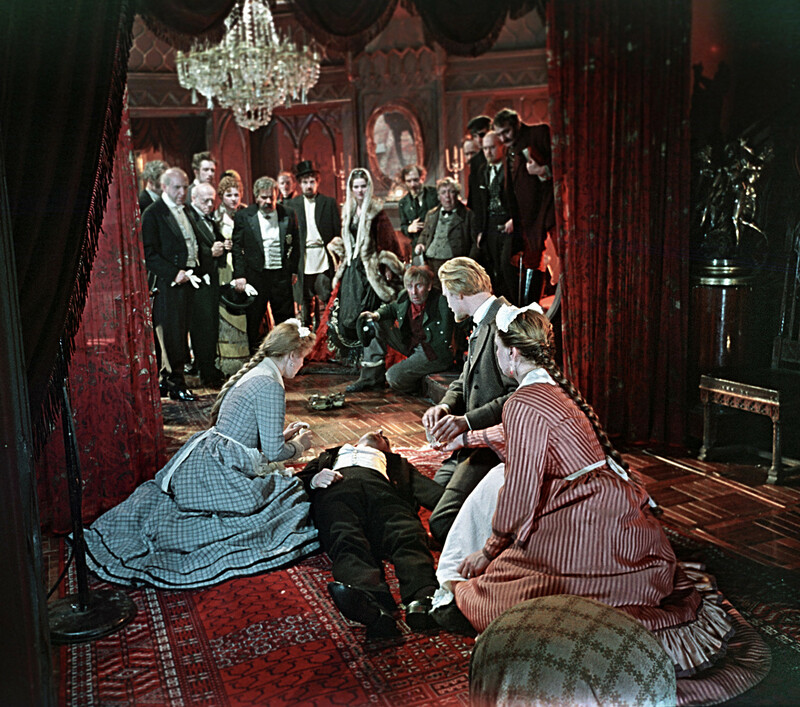 A scene from "The Idiot" film (1958). Spoiler alert: the lying man is not Prince Myshkin. In one of the first chapters, Prince Myshkin tells a story of a man sentenced to death. “His three descriptions of the last moments of a condemned man count among the most thrilling in literature, all the more so because we know they were not made up,” Professor of the Arts and Humanities at Northwestern University Gary Saul Morson wrote in his article on The Idiot. Indeed, Dostoyevsky was sentenced to death himself, back in 1849, for being a member of a revolutionary circle. Just minutes before the execution he was told that tsar Nicholas I replaced his sentence with several years of hard labor. For days, the future writer was waiting for his death and this dreadful experience changed him forever and deeply. Myshkin’s words on a condemned man are particularly powerful, delivered by a man who knew what he was talking about. It would be a shame to miss such a stunning scene. Dostoyevsky's literary power is beyond imaginable - just take a look at the list of writers and philosophers who confess that Fyodor Mikhailovich influenced them greatly.